27 April, 2016. Edmonton/Calgary/Red Deer, Alberta. 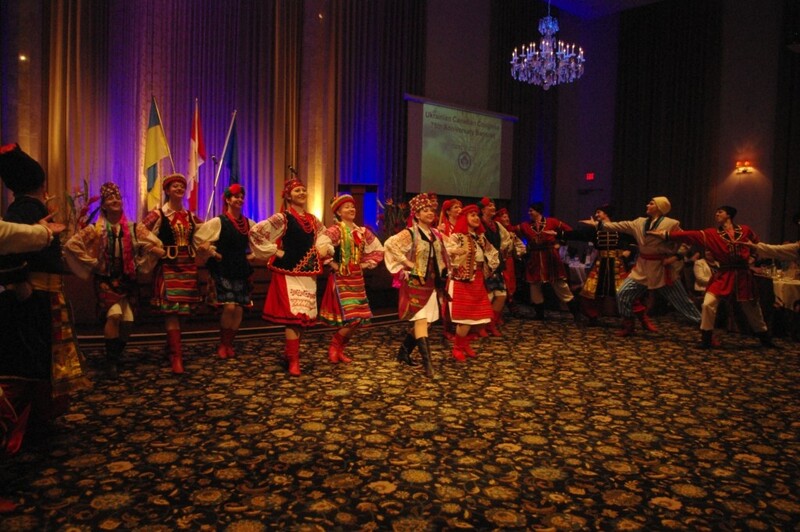 To mark the 75th anniversary of the Ukrainian Canadian Congress (UCC), as part of the Cross-Canada Tour undertaken by UCC President Paul Grod, and Ukraine’s Ambassador to Canada Andriy Shevchenko, UCC and UCC Alberta Provincial Council together held celebrations in Edmonton, Calgary and Red Deer, Alberta on April 15-18 2016. 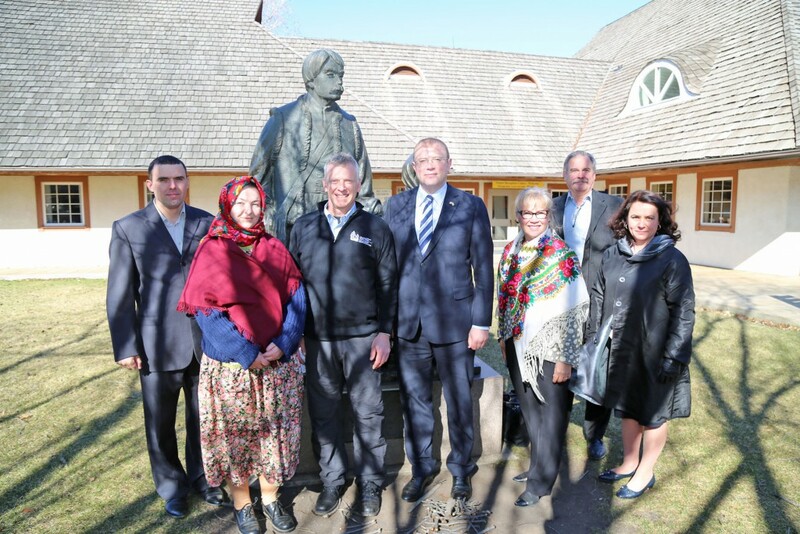 Ambassador Shevchenko visited the Ukrainian Cultural Heritage village, where he was introduced to the way the first settlers from Ukraine built their homesteads. 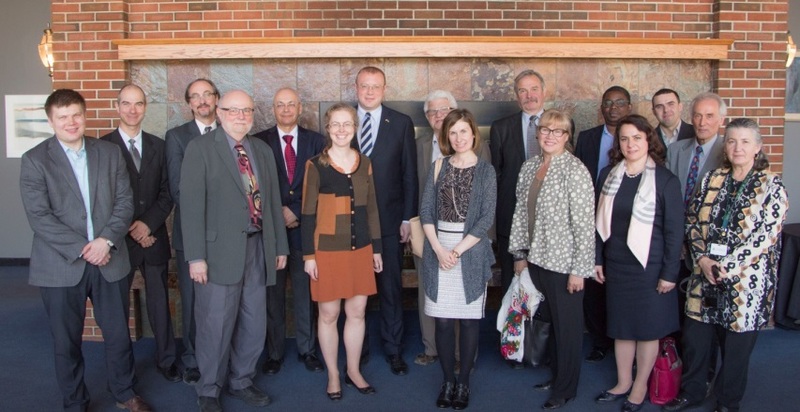 Ambassador Shevchenko then met with representatives of the Canadian Institute of Ukrainian Studies (CIUS) at the University of Alberta, including the Director of CIUS, Dr. Volodymyr Kravchenko. Together with the Hon. 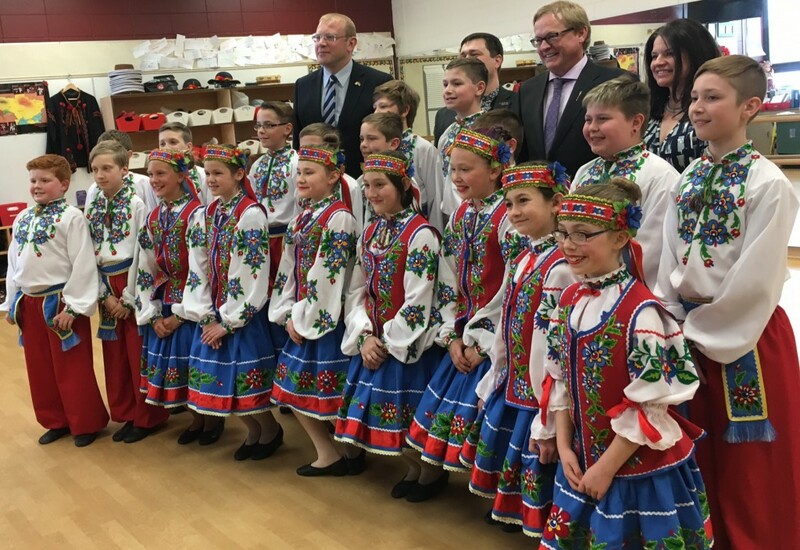 David Eggen, Minister of Education of Alberta, Ambassador Shevchenko toured St. Martin’s School, part of the Ukrainian bilingual program. Ambassador Shevchenko had the opportunity to meet with students, staff, Assistant Superintendent, Ukrainian Language Consultant, Chair of the National Ukrainian Education Council of UCC and the Ukrainian Bilingual Parent Advisory Society. 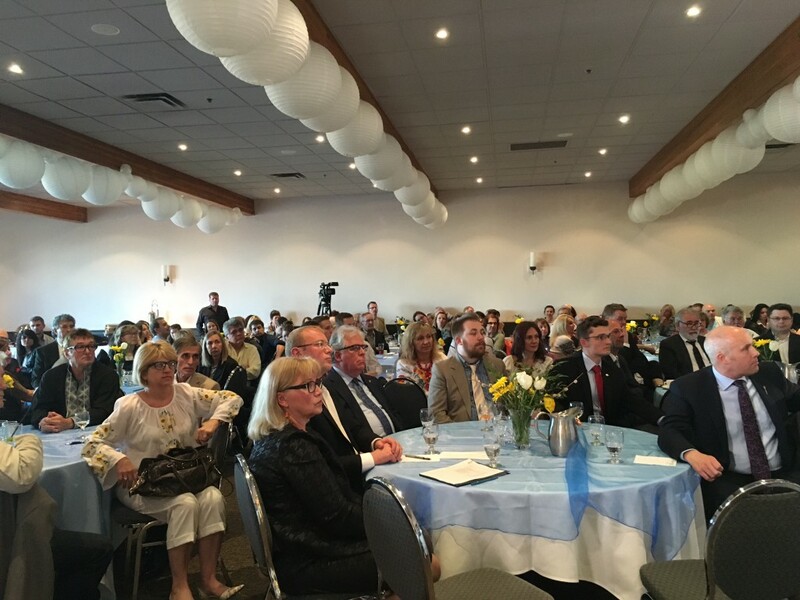 Ambassador Shevchenko and Paul Grod attended a reception hosted by the UCC-APC and the Canada-Ukraine Chamber of Commerce – Alberta. Ambassador Shevchenko and Paul Grod delivered addresses, followed by questions from leaders of the Alberta business community. The evening concluded with an introduction of Ambassador Shevchenko and Paul Grod to leaders of the Alberta Ukrainian Canadian community. 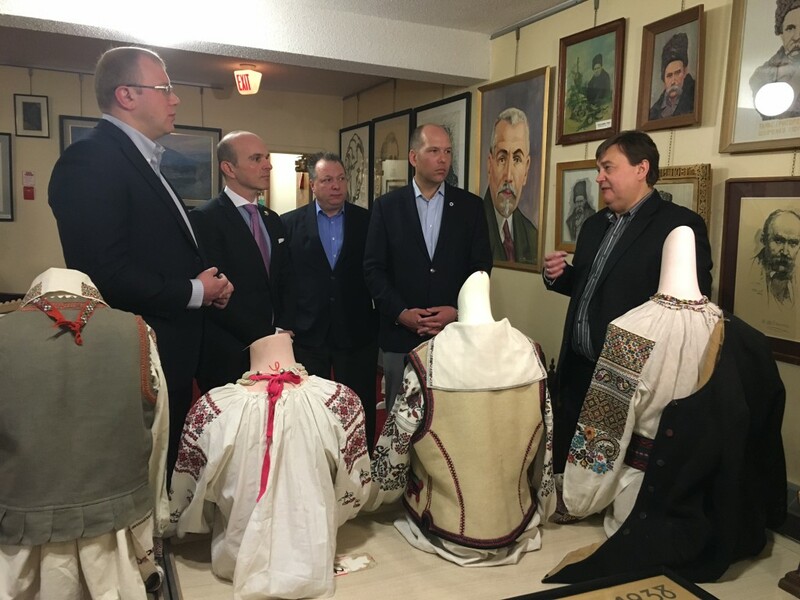 On April 16, Ambassador Shevchenko and Paul Grod visited the Ukrainian Canadian Archives and Museum of Alberta, together with Randy Boissonnault (MP – Edmonton Centre). They then met with Garnett Genuis (MP – Sherwood Park-Fort Saskatchewan), followed by a meeting with Kerry Diotte (MP – Edmonton Griesbach). 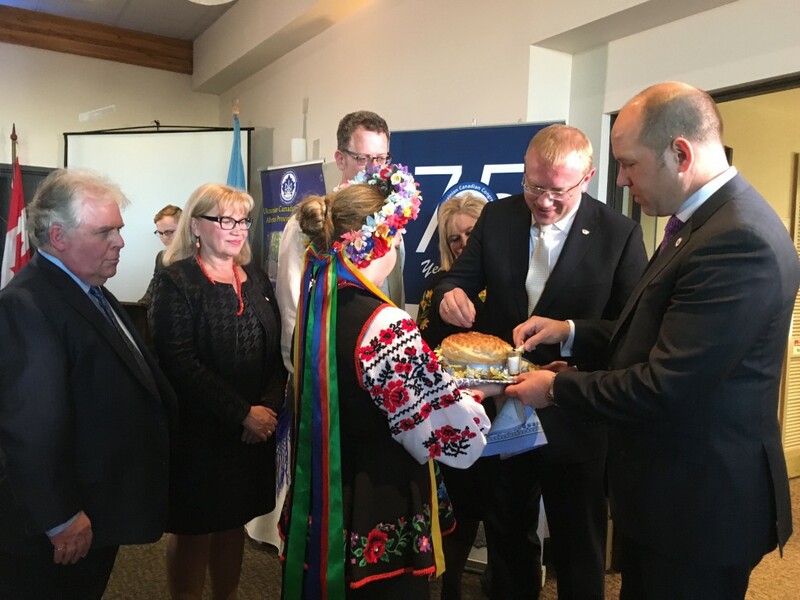 In the afternoon, Ambassador Shevchenko and Paul Grod visited the Alberta Council for the Ukrainian Arts (ACUA) Gallery and attended the first North American Ukrainian Bridal Fair organized by ACUA. 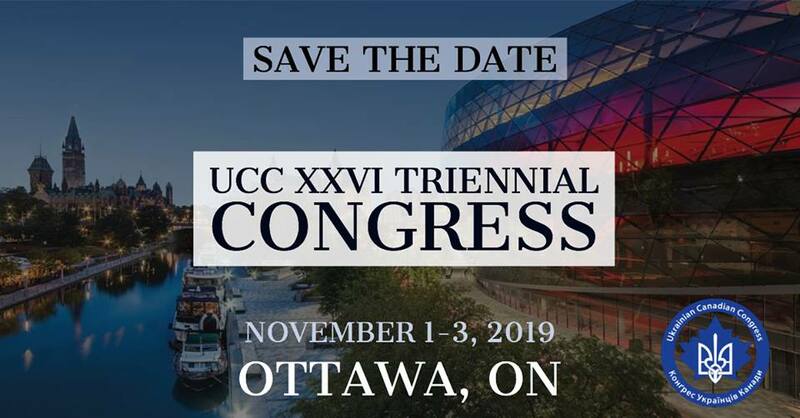 In the evening the UCC: 75 Years Strong Gala was held at the Oasis Centre. Greetings from Government of Canada were brought by Randy Boissonnault, MP, the Alberta Government – by the Hon. Deron Bilous, Minister of Economic Development and Trade and from Mayor Don Iveson. Olesia Luciw-Andryjowycz, President of the Alberta Provincial Council of the UCC, brought greetings on behalf of the UCC-APC. The Axios Choir, Ruta Ensemble and the Cheremosh Dance Ensemble treated the attendees to wonderful performances. Ambassador Shevchenko and Paul Grod offered interesting and timely remarks to the gathering. 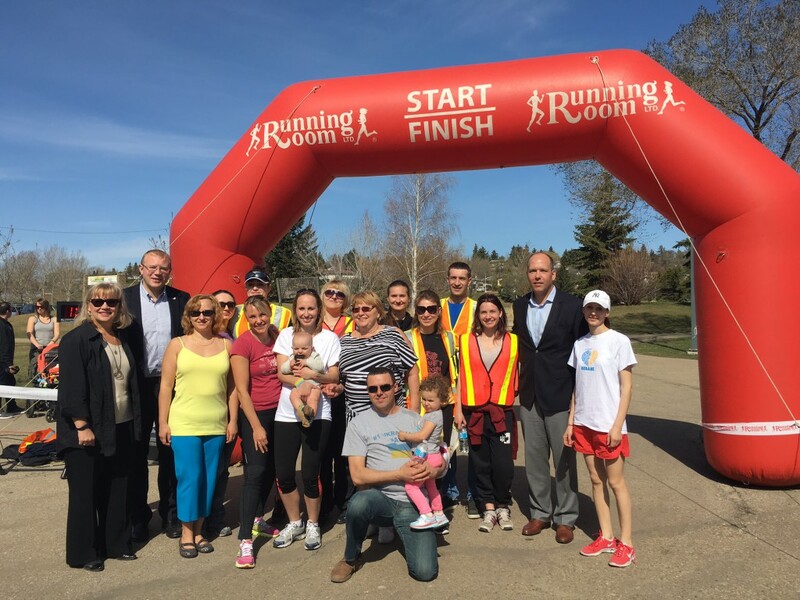 In the morning of April 17, Ambassador Shevchenko and Grod attended the Children for Peace Run in Rundle Park, in support of the UCC Ukraine Appeal: Alberta initiative to bring children of Ukrainian war veterans to Edmonton for summer camp. The Ambassador and Grod presented medals to the winners of the run. 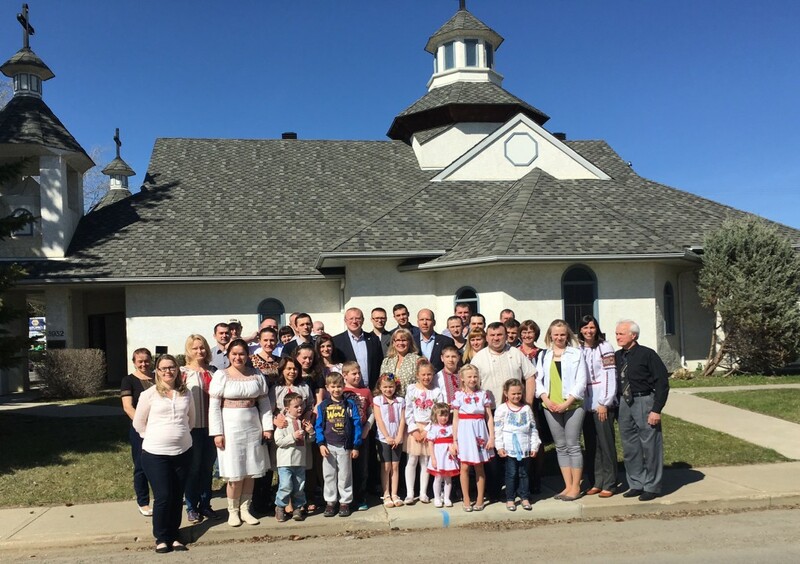 That afternoon in Red Deer, a UCC-APC affiliate branch community meeting was held at the St. Volodymyr Ukrainian Catholic Church. A lively and engaging discussion took place between the attendees and Ambassador Shevchenko and Grod. On the evening of April 17, a reception was held at Elks Lodge and Golf Course in Calgary. Korynia choir, Suzirya dancers and vocalists Stephania Romaniuk and Ihor Bohdan entertained the guests with vibrant and dazzling performances. Ambassador Shevchenko and Grod addressed the sold-out gathering. 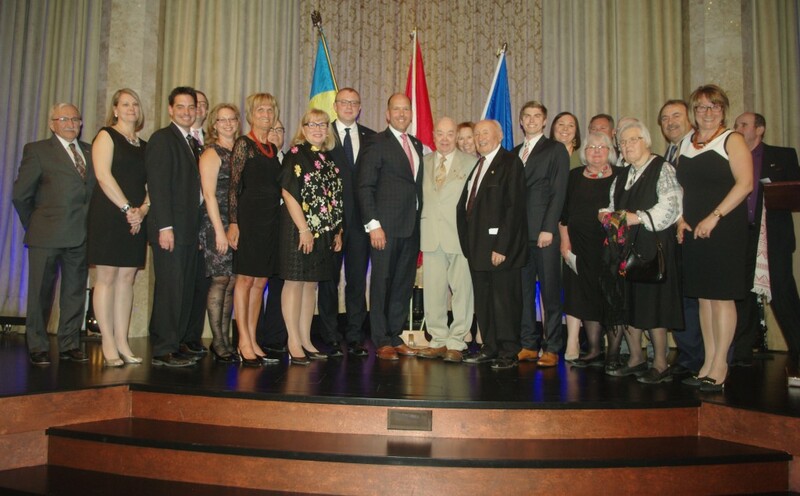 On April 18, Michael Hantzsch, President of the Calgary Ukrainian Professional and Business Association hosted a luncheon with Ambassador Shevchenko and Grod and leaders of Calgary’s business leaders.